MOSCOW (UrduPoint News / Sputnik - 16th April, 2019) The Ukrainian Servant of the People party, led by presidential candidate Volodymyr Zelenskiy, is currently the most popular party in Ukraine ahead of the October parliamentary elections, with over 12 percent of potential voters ready to cast their vote in favor of it, a survey showed on Tuesday. 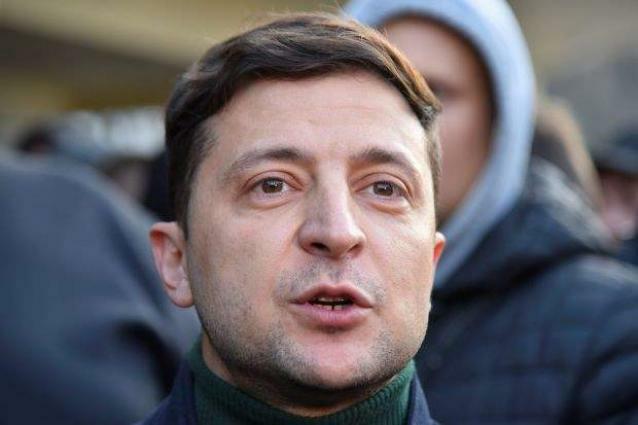 A total of 12.4 percent of the Ukrainians who were interviewed by the Kiev International Institute of Sociology said they would vote for Zelenskiy's party in the elections. The Servant of the People party is followed by Yuriy Boyko's Opposition Platform - For Life party, which was supported by 7.5 percent of the respondents. Incumbent President Petro Poroshenko's Solidarity party stands third in the poll with 6.6 percent of the potential votes, the poll showed. Only 5.8 percent of those polled expressed readiness to cast their vote for the Batkivshchyna (Fatherland) party, headed by former Ukrainian Prime Minister Yulia Tymoshenko, who has been recently eliminated from the presidential race, finishing behind Poroshenko and Zelenskiy in the first round. The survey was carried out among 2,004 respondents aged 18 and above across Ukraine, excluding the parts of the Donbas region that are not controlled by Kiev, on April 9-14. The margin of error does not exceed 3.3 percent. The presidential election was held in Ukraine on March 31 and did not reveal a winner in the first round. On Sunday, the runoff round will be held between the first round leaders, Poroshenko and Zelenskiy, who secured almost twice as many votes as the incumbent president.